As retailers like Walmart (WMT), Target and TJ Maxx (TJX) raise their wages to at least $9 an hour, the White House is renewing its push for Congress to hike the minimum wage. U.S. Treasury Secretary Jack Lew says it just makes sense for the economy. "If you look at states and businesses doing it, if they're willing to do it in a competitive environment, it proves that we could do it overall," Jack Lew told CNNMoney's Christine Romans Thursday. 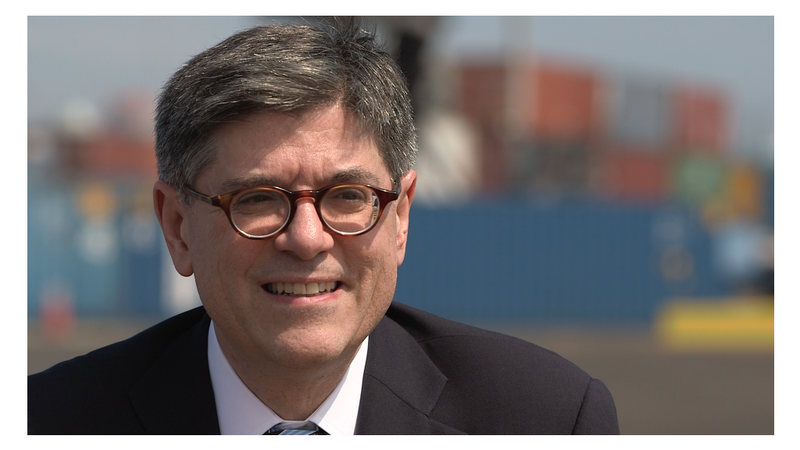 When Lew talks to CEOs around the country, they sound more and more confident about the U.S. economy. That's a good sign that better things -- including higher wages -- are likely ahead. "I have a great deal of confidence that as we raise the minimum wage, it's going to boost a lot of economic activity in the process," Lew says. Target (TGT) is reportedly the latest retailer to start pushing minimum wages up to at least $9 an hour in April. Target has roughly 366,000 employees nationwide. In February, Walmart announced it would increase pay to $9 an hour in April and $10 an hour by February 2016. The raise will affect about half a million Walmart employees. It would take congressional action to alter the federal minimum wage, and so far Congress has been reluctant to do it. Some lawmakers argue that lifting the national minimum wage from $7.25 an hour to $10.10 -- the number the White House has proposed -- will hurt the economy. Lew dismisses that criticism as out of touch. Workers who earn under $10 an hour are barely getting by, he argues, and when their wages go up, they almost always spend the extra money on groceries, gas and other bills. It goes right back into stimulating the economy. It's not just companies that are acting to lift salaries lately. Minimum wage hikes went into effect on January 1 in 20 states, including South Dakota, Nebraska, Alaska and Alabama. Beyond wages, Lew is most concerned about hacking attacks. He dubs it the great challenge for all leaders today. "It is a new phenomenon where the risk is great and the learning curve has been fast," he says. Going forward the U.S. has a lot of the right policies in place to succeed, according to Lew. But in addition to cyber attacks, America also needs to be more proactive on infrastructure investments. "The economy of the future is going to be a function of how educated our people are and how strong our infrastructure is," he believes.